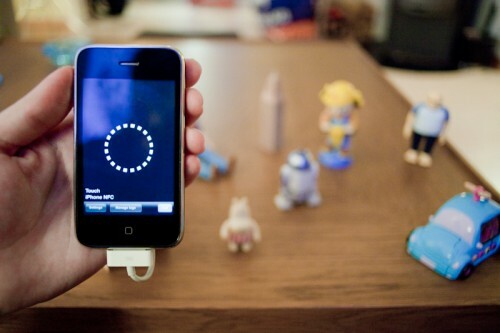 This is a link (with video) to a prototype of an iPhone media player that uses physical objects to control media playback. It is based on Radio Frequency Identification RFID that triggers various iPhone interactions when in the range of a wireless tag embedded inside a physical object. via iPhone RFID: object-based media.